Nigeria, Egypt, Tunisia, Senegal and Morocco are the five African countries to represent CAF at the 2018 FIFA World Cup. 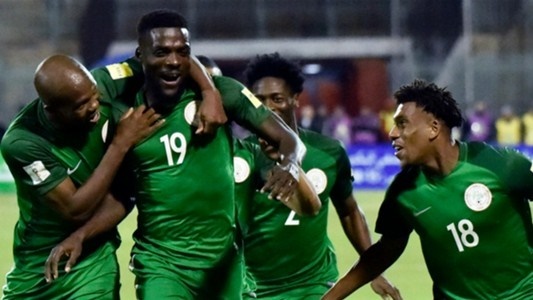 The Confederation of African Football (CAF) has concluded plans to splash $500,000 (Five Hundred Thousand dollars) on the Super Eagles for the 2018 FIFA World Cup. An ad hoc committee chaired by the CAF 1st Vice President, Kwesi Nyantakyi, to map out a kind of support to be provided to African representatives to the FIFA World Cup Russia 2018, met on the sidelines of the draw in Russia to take the decision. The ad hoc committee, which has FA bosses of all qualified countries, decided that CAF will grant a financial subsidy of $500,000 (Five Hundred Thousand dollars) to each of the five African teams. In addition, CAF will provide each African representative with “fieldwiz” equipment, a technological device and physical performance measuring tool for outdoor team sports players.